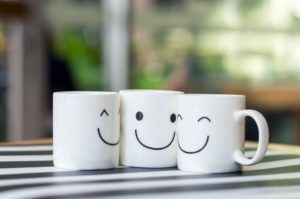 Culture is at the heart of how we communicate and socialize, so it is no wonder that the social media revolution has spread at different paces and in unique ways across the world, and also given birth to region-specific applications. In today’s post, we’ll explore some platforms that are making it big outside of the United States. Vincenzo Cosenza, Social Strategist, has been tracking the popularity of social networks since 2009. 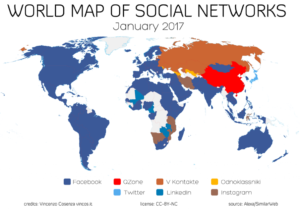 In his latest update, January 2017 World map of Social Networks, Cosenza found some surprising insights. In those countries where Facebook didn’t reign supreme, LinkedIn stepped in as the top network in 9 countries, Instagram in 7, and Twitter in only 1. Some countries, however, such as China and Russia, saw the dominance of local networks. This network, alongside Vkontakte, is at the risk of losing a large number of users as political unrest and questions of data privacy between Ukraine and Russia have resulted in the banning of these popular sites in Ukraine. WeChat is a brand of the Tencent Corporation, which is now the 10th largest public corporation in the world! Additional social networking sites from Tencent include QQ and Qzone. QQ first came on the scene in 1999 as an instant messenger service, similar to AIM. Currently boasting 880 million users, the service is still going strong. Qzone followed in 2005, as a multimedia social network, allowing users to share photos, videos, live stream, and play games. It now hosts 630 active users. The YouTube of China, YY was originally built for gamers, but the platform now hosts a bounty of features, including: streaming videos, music, television, live gaming, and even online dating. 66.1 million users currently access this social entertainment channel monthly. Renren, or “everyone”, as it translates in Chinese, is China’s equivalent to Facebook. Funny enough, this platform was also developed by university students as a student community network and remains popular among college students, boasting 251 Million active users as of June 2017. While shockingly similar to Facebook in terms of color choice and layout, RenRen has struggled to adapt their platform to the mobile experience thus many users are flocking to more agile applications such as WeChat and Weibo. Weibo, also known as a Facebook/Twitter hybrid, is a microblogging site that allows usersto chat, as well as upload pictures and videos. Like many Chinese sites, Weibo’s name should come as no surprise as it simply means “microblogging” in Mandarin. Similar to Twitter, posts are limited to 140 characters and you can follow, as well as be followed by, other microbloggers. The platform also serves the purpose of keeping users informed of the latest news. Japan’s most popular messenger application is truly one of a kind. 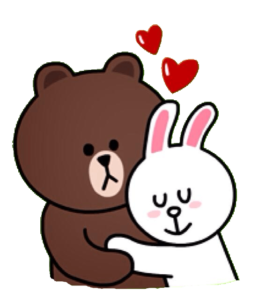 Line uses sticker characters to help users to tell a story above and beyond what normal emojis could. Some of the characters are so popular that they even have their own TV shows and Line is experimenting with opening pop-up retail stores around the globe in locations such as in Times Square, NYC. Even in locations where the app itself is not widely in use, consumers are falling in love with their adorable stuffed animals and merchandise. Although features may vary by region, some exciting applications available to Japanese users include streaming TV programs through a portal similar to Netflix, and music access. South Korea, a country of 51.25 million inhabitants, has undeniably adopted their homegrown messenger application, KaKao, with amazing enthusiasm; the network clocks in at just over 49 million users. In its early days, KaKao began like many as a free text messaging service. It has evolved, however to provide a trendy experience rich in pop culture and gaming, which has helped it remain a go-to application for South Koreans. Taringa is a social platform popular in Latin America, which at first glance looks like an exact copy of Reddit for Spanish speakers. Similar to its North American counterpart, Taringa allows users to share content such as recipes, articles, art and more. The platform itself, however, can be considered small in terms of adoption, and possibly has data security issues, with recent news of a data breach of its 28 million users’ information supporting this claim. Using one of these channels? Share your experience with us! We’d love to learn how it compares to that of the more mainstream channels.